The story of the Breckland Beira is one of those unfortunate ones that never lifted off the ground, although they had a really good idea going for them. The company of Breckland started out in the early 2000s, specializing in the manufacture of low-volume sports cars, such as Moslers. Somewhere within the mid-2000s, they decided to make a specialty sports car of their own, which leads us to the Beira. Summed up in short, the Beira is my idea of the perfect sports car. It rides on the lovely GM Kappa platform of Saturn Sky/Pontiac Solstice fame, and is powered by...you guessed it, a 6.2L LS V8 mated to a 6-speed manual gearbox. Breckland also took special care to modify the V8 to work with LPG, giving it a full range of 700 miles on one tank. So, basically, this was turning out to be a well-handling, quick, somewhat economical FR roadster. Where do I sign? The car was launched in 2008 and was slated to have a £55,000 base price, but oddly was only available in left hand drive, seeing as the interior was mostly a re-upholstered Solstice interior. The founder of the company stated that he intended for the Beira to, “pick up where TVR and Marcos left off,” and had planned a whole range of mildly luxurious boutique sports cars. 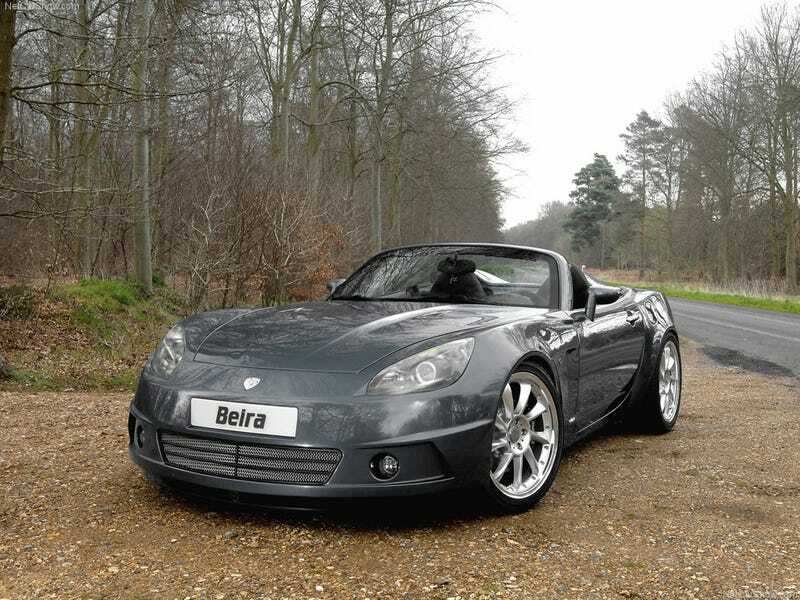 However, although production was planned for November of 2008, the Beira never made it to the public. Breckland as a company was soon dissolved in 2009 for unknown reasons, leaving only the prototypes in existence. One German magazine did spot a facelifted version being tested in 2009, but nothing ever came of it. Would Breckland have worked? It’s hard to say, but they did show some promise...the world could have used an LS-powered luxurious Solstice. Or maybe I could have.